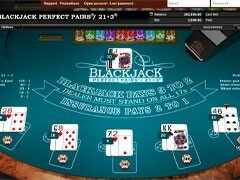 Pontoon is exotic version of blackjack. 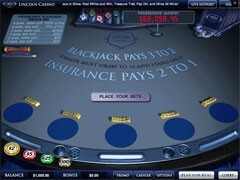 Basically this game is the British analog of traditional Blackjack. 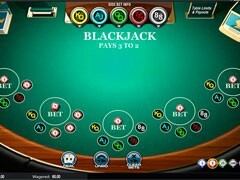 The game derives from the French game 21 (Ving-et-un). 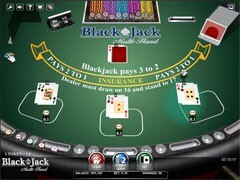 By the way Classic Blackjack also derives from this game. 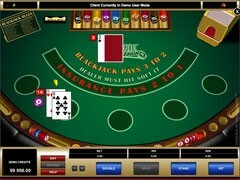 Pontoon is played in many online casinos. This game is also a great fun for the whole family. 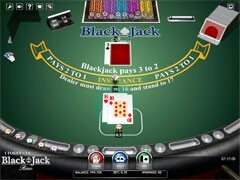 It is advised to play with 5-8 players. 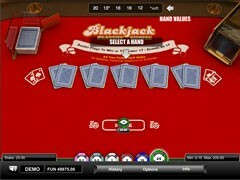 You will need to have a standard card deck consisting of 52 cards. 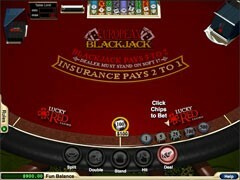 Sometimes more decks are used; for example in case of having more than 8 players at the table. 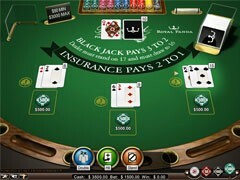 Casinos also increase the amount of used card decks to increase the house edge. 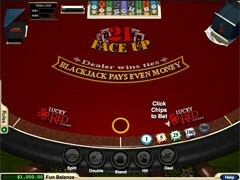 The dealer deals one card face down to each player. 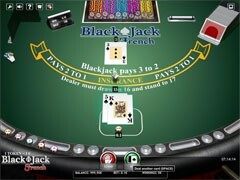 Players are allowed to have a look at their cards. 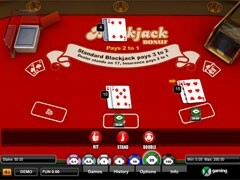 The goal of the game is to beat the dealer with value of the hand. At the same time the value cannot exceed 21. It is called bust as in Classic Blackjack. 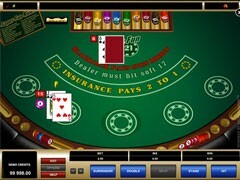 Ok, after receiving one face down card the player is supposed to place his bet. 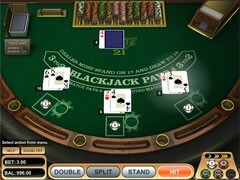 Then the player is dealt his second card again face down. Cards have got the same value as in Classic Blackjack. 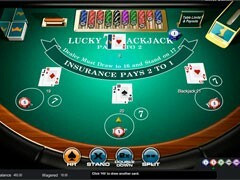 Cards from 2 to 9 their initial value, from T to K – 10 points, Ace can be either 1 or 11 regarding on your hand. In Pontoon the dealer has got a small advantage. He always wins in case of having equal points with the player. Actually there are several special combinations in Pontoon that you should remember. First of all we should mention Pontoon combination (this is why the game is called Pontoon). 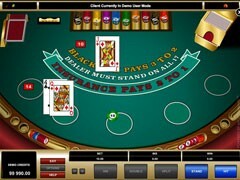 Pontoon hand is similar to blackjack hand (21 points). 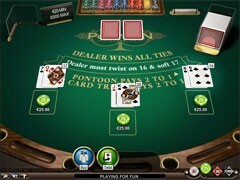 Pontoon is the best hand which the player can have in this game. 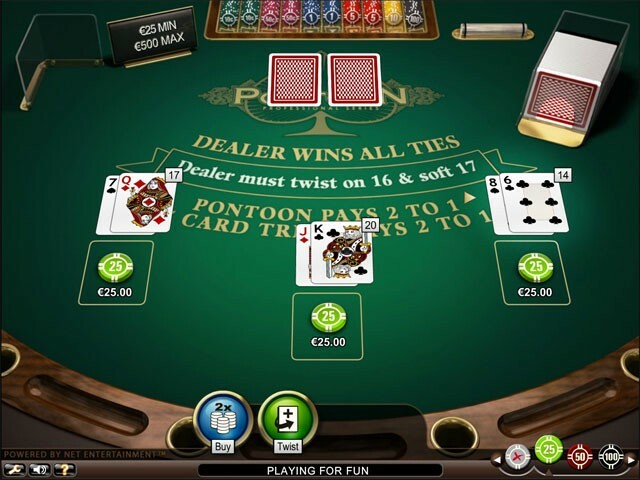 Pontoon is formed from an Ace and any 10-point card (T-K). Holder of Pontoon hand receives double winning. 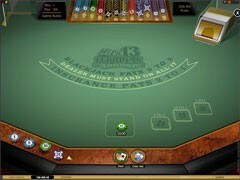 For example, if the player’s bet was $5 and he receives Pontoon he will be given $10 on top of his wager. Another important hand is called Five Card Trick. This is the second best hand of this game. Five Card Trick hands mean that you have got 5 different cards without busting. Five Card Trick beats any combination except Pontoon. A232A is the example of Five Card Trick. Please remember that Five Card Trick doesn’t necessarily need to have a value of 21 points. 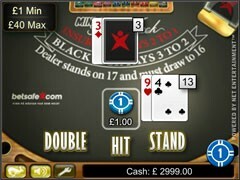 And this type of hand brings double stake winning. The next best possible hand is three of four cards with the value of 21. Such hands beat any other 21points hands except Pontoon and Five Card Trick. 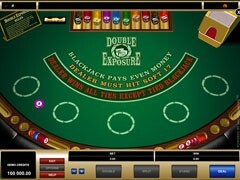 Thus if the player has got 2-4-5-4-6 and the dealer has got 7-8-6 the player wins. But let’s return to the beginning of the game. 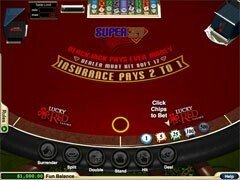 When the player receives his two initial cards he has got the choice. He can buy or twist card (similar to hit). 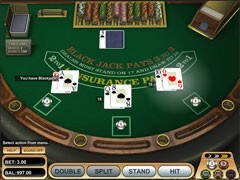 In both cases the player receives one more card. 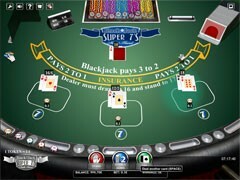 If the player chooses buying card he has to increase his stake (different casinos use different system of increasing stakes; it can be 1x-2x of the size of your initial bet). 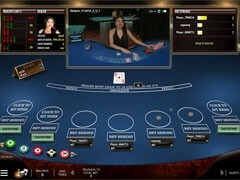 If the player chooses twist card he also receives additional card but he doesn’t have to place extra bet. 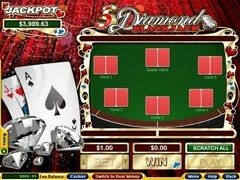 The player is allowed to buy cards until he reaches 5 cards or bust. If the player doesn’t want to take any more cards he can stop saying “Stick” (Stand). In Pontoon it is possible to stand if the value of your hand is at least 15 points. 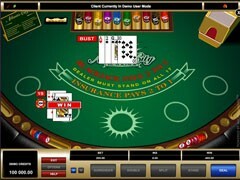 In Pontoon the player is also allowed to split his hand. 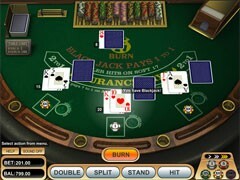 Split is applicable if the player has got two initial cards forming a pair or having the value of 10. It can be for example TT, 77, KJ. If the player splits he has got two separated hands. 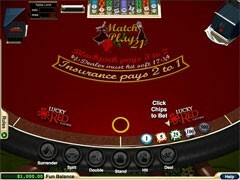 The player is allowed to split only once per one round. 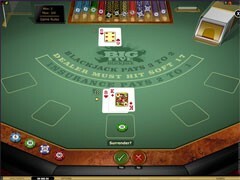 The dealer takes extra cards when the player or players finished completing their hands. 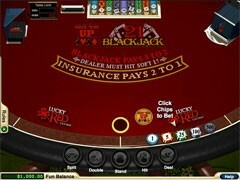 Before taking extra cards the dealer shows his two initial cards. 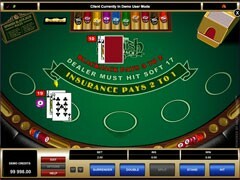 The dealer has got the same options as the player.